I had earlier posted of our trip, purposefully travelling 140 odd kms from the Pink city Jaipur to this holy place ~ a place known for even-toed ungulates bearing distinctive fatty deposits known as "humps" ~ the not so good looking Camel. ~ Pushkar, a town in the Ajmer district in Rajasthan. It is the place where Lord is worshipped in the form of water (lake). Pushkar in Sanskrit means blue lotus flower; Pushkar is perhaps derived from ‘pushkarini’ – the holy lake. Legend has it that centuries ago, there was a demon by name Vajranabhan. 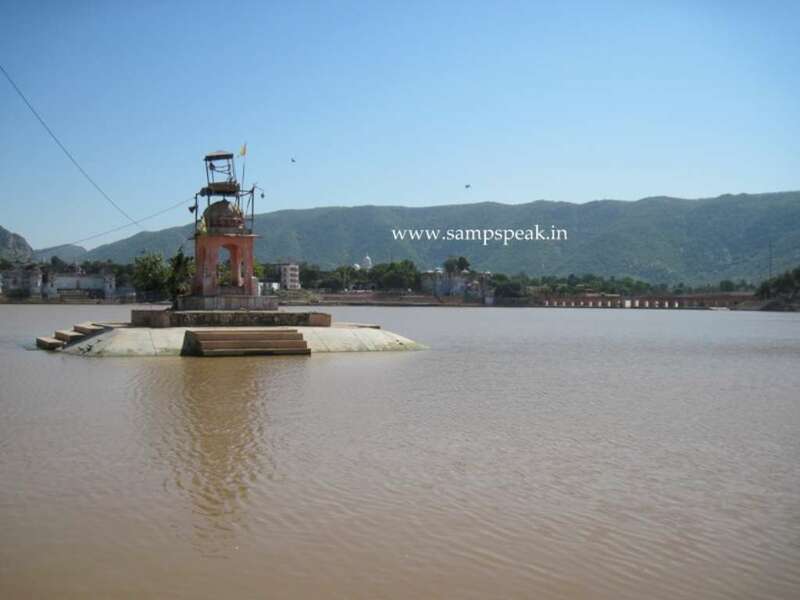 Brahma killed him with a lotus flower.. there are big lakes, stated to be 52 of them – small and big inside Pushkar. Of them the most important being Jeshta Pushkarini dedicated to Brahma, Kanishta Pushkarini of Lord Siva and Madhya Pushkarini dedicated to Sriman Maha Vishnu. 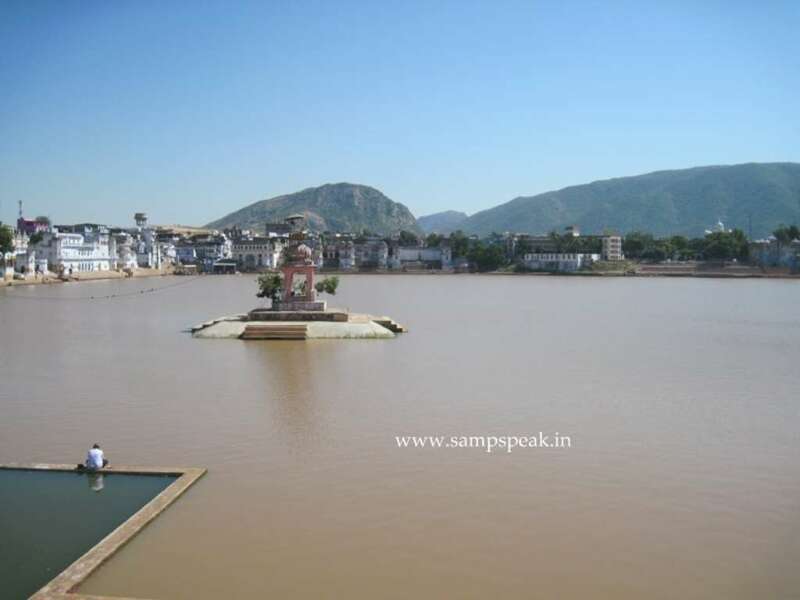 Pushkar is believed to have been created by Lord Brahma himself as the fit place for conducting yagna. For performance of yagna, Brahma married Gayatri Devi, which in some ways led to the curse that there will not be temples for Brahma and that he will not be worshipped elsewhere. 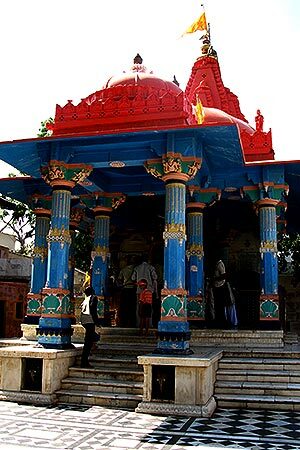 Legend has it that Yudhistra bathed at Pushkar as also Prahlada. 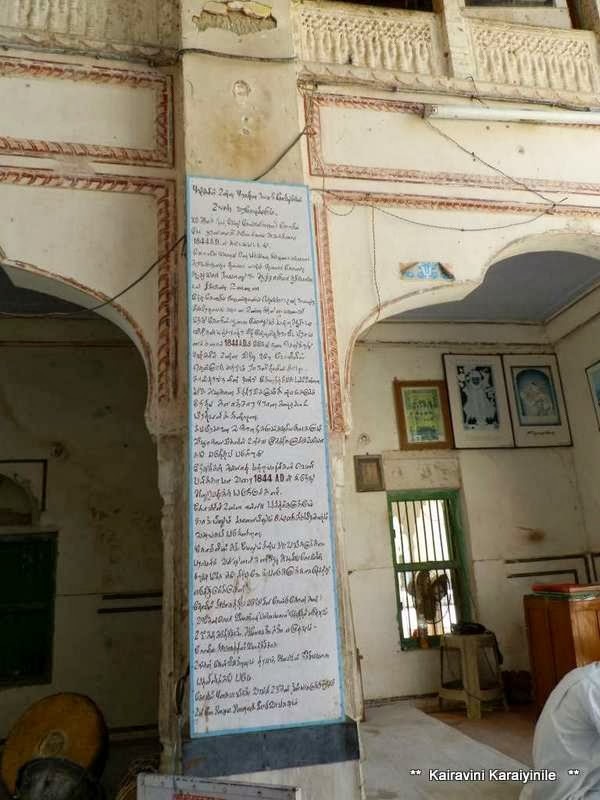 Historically, this is one of the places invaded by Ghaznavids and it was here that the British ambassador, Sir Thomas Roe met with Jehangir in the year 1616. Adhi Sankarar also visited this place. 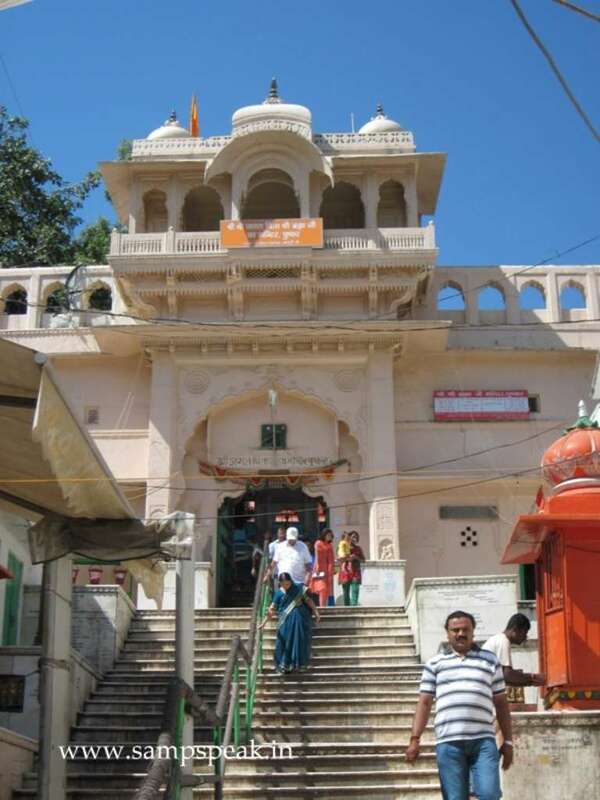 The modern day Pushkar is not a big city, but has many temples and lakes – all considered holy by the Hindus. This otherwise sleepy town echoes with hectic activity during the Pushkar Camel Fair and festival. 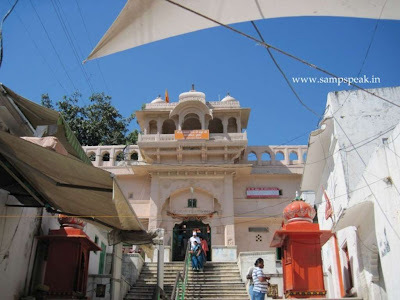 The famous Brahma temple known locally as ‘Jagatpita Brahma Mandir’. 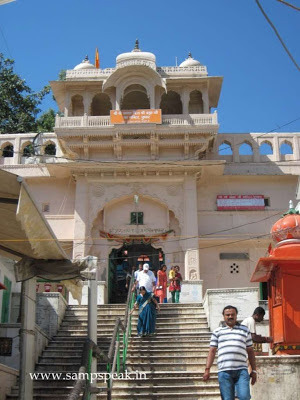 After worshipping here, went to another temple called Purana Mandir…. It is a temple constructed in 1844 according to the plaque – it is called ‘Sri Aranganatha Venugopalar Temple’. Miles away in Rajasthan ~ this temple follows ‘Pancharathana agama’ and ‘Thennacharya’ sampradhayam. 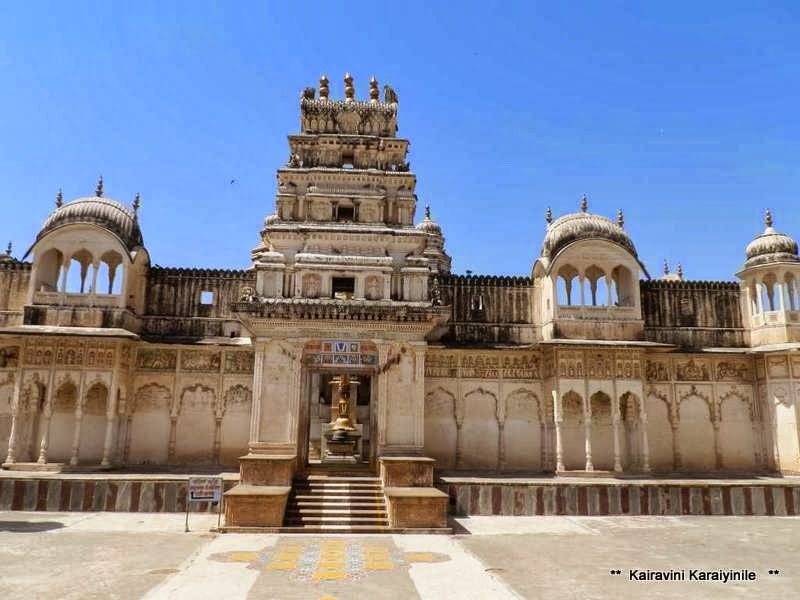 It is a beautifully made temple – combining different architecture styles, yet looking like a South Indian temple. Moolavar here is very attractive Sri Venugopalar in standing posture with flute in his hands; the Uthsavar is also in a strikingly similar posture. As we have darshan in the sannathi, on our right, there is Ranganathar in sayana thirukolam with majestic looking Ranganathar. 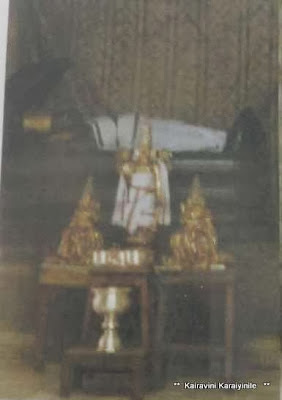 On the left hand side, you are certain to be blown off your feet … there is gigantic majestic thirumeni of Udayavar resembling the one who argued with Jainese at Thondanur and a brilliant looking Uthsavar of Sri Ramanujar. There is also beautiful vigraham (both Moolavar and uthsavar) of Swami Manavala mamunigal inside the same sannithi. The Azhwargal here all look very similar. 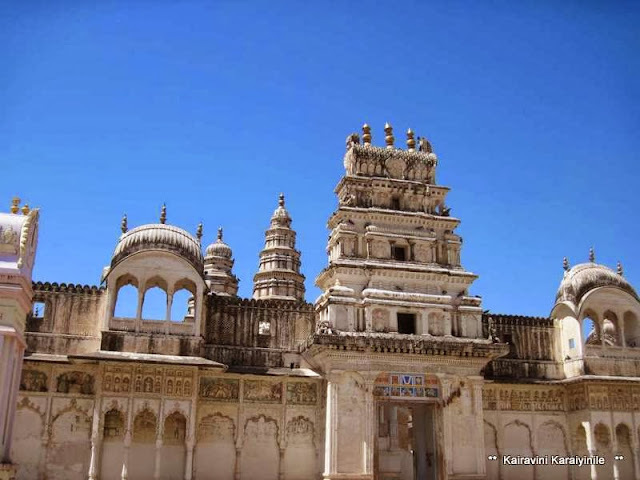 Over all a grand pleasant Temple with its tall spires, Vimanas, Gopurams and side walls. The darshan had here was so fulfilling that it lingers in memory, providing great mental peace and satisfaction. 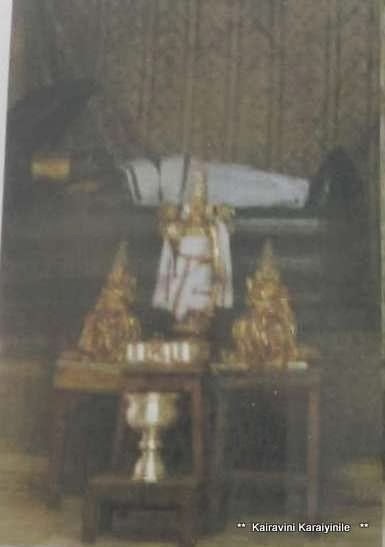 Azhwar, Emperumanar Jeeyar Thiruvadigale saranam. It is rendered during Udayavar Mangalasasanam and on Emperumanar Sarrumurai purappadu. 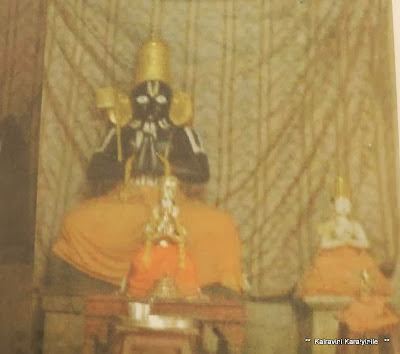 In our Sampradhayam, we sing ‘Sri Nalayira Divyaprabandham’ in front of our Lord – during veedhi purappadu and inside the Temple on Thirunakshathirams and important festive occasions. Thiruvallikkeni is replete with Uthsavams and there are thiruveethi purappadus continuously…………… but the month of Avani is slightly different. 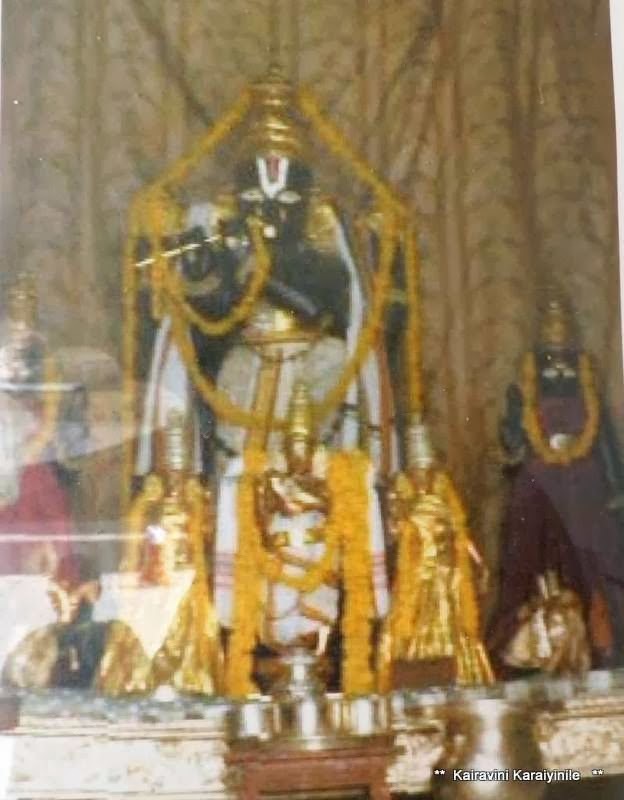 On 10th Aug 14, it was Gajendra Moksham and Sri Parthasarathi had purappadu on Garuda vahanam (I had posted about this – there were very heavy showers too) – and the next purappadu for Sri Parthasarathi is only on 4th Sep – which is day 1 of Thiru Pavithrothsavam. In between there are no other veethi purappadus – with the exception of today when Sri Gajendra Varadhar had chinna mada veethi purappadu on Hastham day. 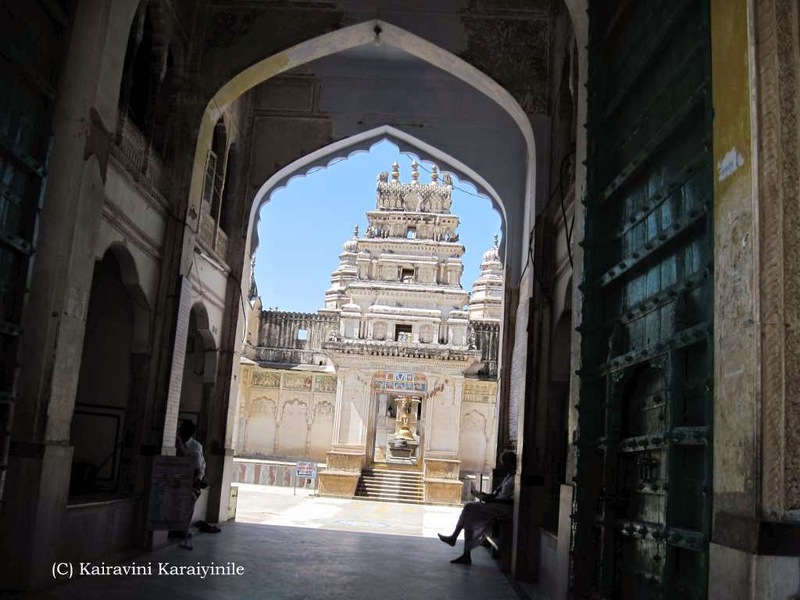 Here are some photos taken during the purappadu – Adiyen Srinivasadhasan. During a trip to the pink city of Jaipur, purposefully travelled approx 140 kms to this holy place ~ a place known for even-toed ungulates bearing distinctive fatty deposits known as "humps" ~ the not so good looking Camel. It is Pushkar, a town in the Ajmer district in Rajasthan. We worship Lord in many forms and this is the place where God is in the form of water. Here it is the lakes, which are worshipped as God Himself. Pushkar hosts the annual camel fair visited by thousands of people; more significant and important is the temple dedicated to Lord Brahma. 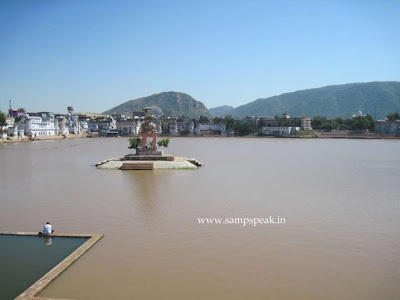 Pushkar in Sanskrit means blue lotus flower; pushkar is perhaps derived from ‘pushkarini’ – the holy lake. Legend has it that centuries ago, there was a demon by name Vajranabhan. 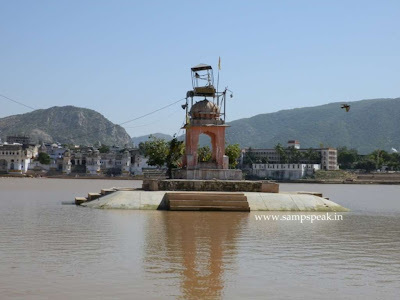 Brahma killed him with a lotus flower.. there are big lakes, stated to be 52 of them – small and big inside Pushkar. Of them the most important being Jyeshta Pushkarini dedicated to Brahma, Kanishta Pushkarini of Lord Siva and Madhya Pushkarini dedicated to Sriman Maha Vishnu. Pushkar is believed to have been created by Lord Brahma himself as the fit place for conducting yagna. For performance of yagna, Brahma married Gayatri Devi, which in some ways led to the curse that there will not be temples for Brahma and that he will not be worshipped elsewhere. 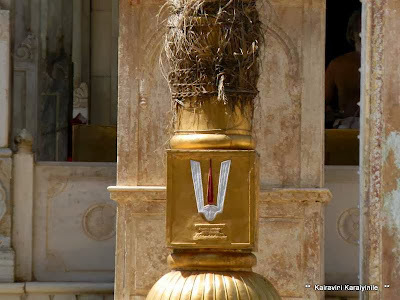 Legend has it that Yudhistra bathed at Pushkar as also Prahlada. 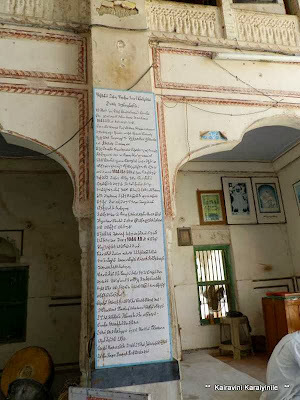 Historically, this is one of the places invaded by Ghaznavids and it was here that the British ambassador, Sir Thomas Roe met with Jehangir in the year 1616. Adhi Sankarar also visited this place and renovated the temple. 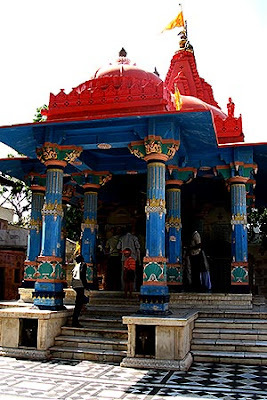 The modern day Pushkar is not a big city, but has many temples and lakes – all considered holy by the Hindus. This otherwise sleepy town echoes with hectic activity during the Pushkar Camel Fair and festival. The famous Brahma temple known locally as ‘Jagatpita Brahma Mandir’ is not a big one, one has to climb a few steps to go inside the temple. The floors are of white marble, and one sees lot of silver coins inserted. There is a silver turtle on the floor of the temple. 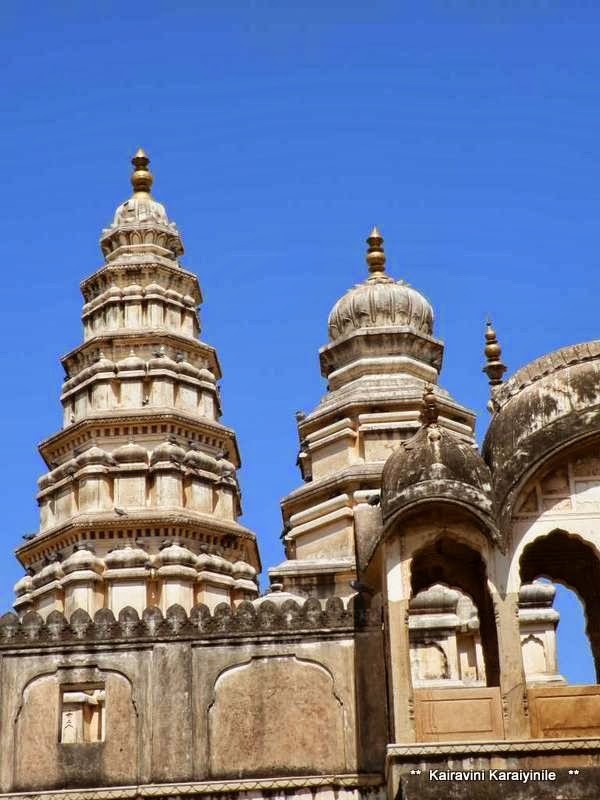 The temple is constructed of stone slabs and blocks joined together with smolten lead. 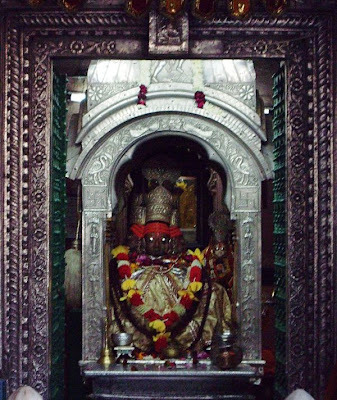 Inside the sanctum sanctorum is the idol of Brahma along with his consort Gayatri. Outside there is sannathi for Indira and Kubera. Miles away, there is another place where Brahma is worshipped ~ it is at the temple nearer the most holy Srirangam – a place known as Uthamar Kovil, one of 108 divyadesams for Sri Vaishnavaites. Thirumangai Azhwar has sung this place as ‘Karambanoor’ and Perumal as ‘Karambanoor Uthamar’. 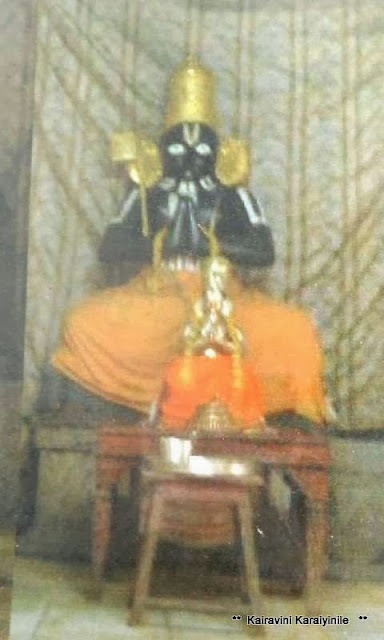 The presiding deity here is Purushothamar. 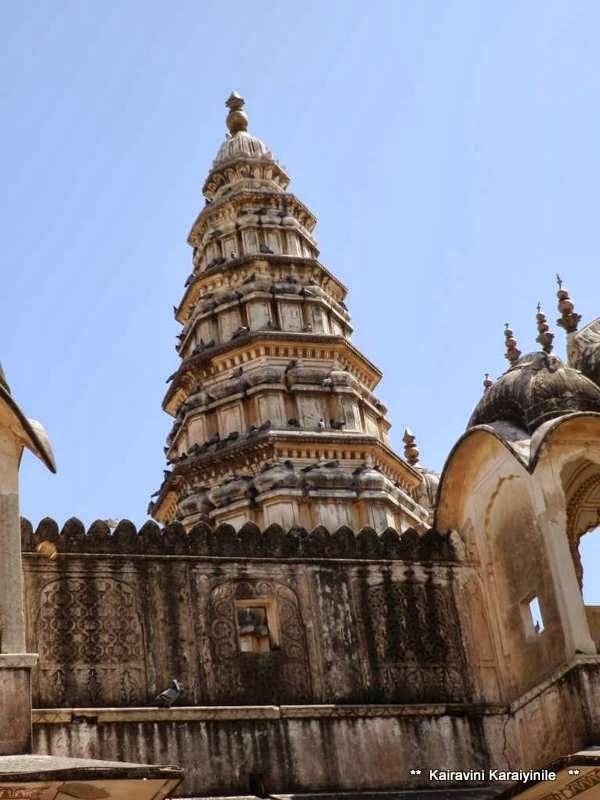 It is also known as Pitchandar Kovil and has sannathi for Lord Siva and another one for Lord Brahma as well. Here are photos of the holy lake which is the lifeline and centre of the town. A dip in the lake is believed to rid one of sins and do many good things. 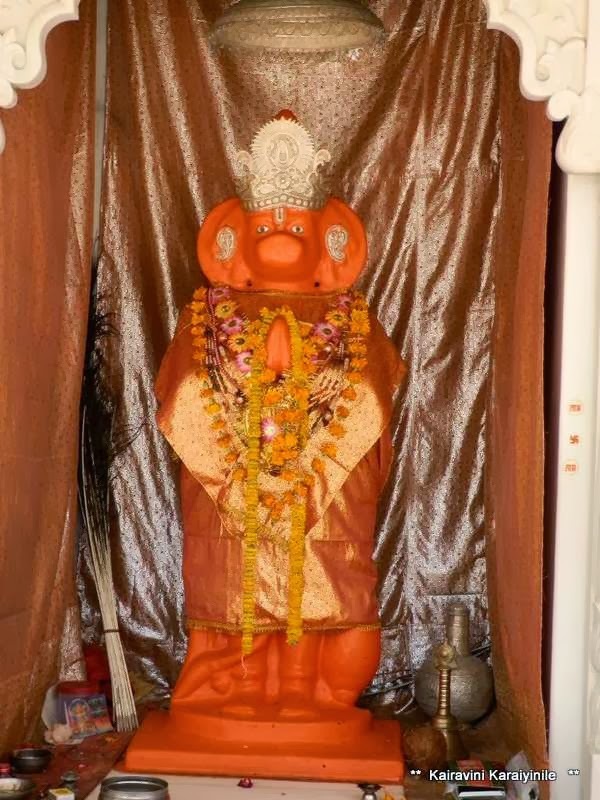 A couple of photos of Brahma temple taken from outside and photo of Lord Brahma are also posted here. The last two photos are taken from wikipedia as photography is not allowed inside the temple. Today 10th Aug is ‘Yajur Upakarma’ and there was grand purappadu at Thiruvallikkeni …… Sure you know the puranic legend of ‘Gajendra moksham [salvation of elephant Gajendra]’ ~ when Lord Maha Vishnu Himself came down to earth to protect Gajendra(elephant) from the death clutches of Makara (Crocodile). It also offers us great learning – the otherwise mighty elephant too could get into difficulty and in its extreme distress the elephant after testing its power and understanding its futility, still had the presence of mind to think of bhatki (devotion) and gnana (spiritual knowledge) ….. the plea of elephant was immediately answered by Lord Maha Vishnu, who came rushing in to protect His devotee – making the earthly human beings realise that if God does so for an elephant, He sure would protect all of us too. Gajendra the King of elephants, was attacked and caught by a crocodile and death seemed imminent. Gajendra had been rendering service to the Lord by offering fresh, fragrant Lotus and when he appealed to God to protect him, Maha Vishnu appeared on Garuda vahanam, saving the devout elephant by killing the crocodile with his ‘Chakram’. It also explains that one who falls under the divine feet of Lord [prapathi – surrender] seeking salvation will surely be taken care of. The reenactment of Gajendra moksha takes place during the full moon in the month of Aadi. During Theppothsavam, Lord Varadhar has sarruppadi of ‘Gajendra moksha thirukolam’. In Thiruvallikkeni divyadesam, Lord Devathirajar (the Moolavar) is giving us darshan on Garuda vahanam – “aanaiyin thuyaram theera pul oornthu sendru nindru aazhi thottanai” [the one who transcended on the bird to wipe out the trouble of elephant] in the words of Thirumangai Mannan. In 1971 London educated R Nataraja Mudaliar produced and directed the first silent feature film in Tamil called ‘Keechaka vadham’ ……….. he also made Draupadi Vasthrabaharanam, Mayil Ravana, Lavakusa and Kalinga Mardanam. The other early pioneer A Narayanan made “Gajendra Moksham” in 1930.
see the rain clouds in the background !! Today 9th Aug 2014 is a very important day for Sri Vaishanavites. Today being Uthirada Nakshathiram in the month of Aadi, marks the birth of a great Acharyar – Aalavandar. Known as Yamuna Muni, Yamunaithuraivar, Alavandar was the grandson of Sri Nathamunigal and son of Ishwara Munigal and Sri Ranganayaki. Every summer gives trouble not only of sweltering heat but of the water shortage to the residents of Chennai. Though there are four reservoirs of Poondi, Cholavaram, Redhills and Chembarakkam as lifelines for drinking water needs of Chennaites, there is another important water source that supplements daily water supply to the city and that is more than two hundreds of kilo meters away…… it is the Veeranam lake in Cuddalore from which water is brought in by 230 km long pipeline. The lake built by Chola kings has been in news for long - located 14 km off Chidambaram; nearer Sethiyathope – it one of the water reservoirs from where water is planned to be supplied to Chennai. The Veeranam project, to supply water to Chennai, was conceived in 1967; later got mired in rampant corruption. The project's completion in 2004 was a major political victory for the AIADMK government of the time due to the project's long history of corruption and politicking. At some point of time, water started flowing from the lake to Chennai. Sri Vaishnavaites have more to know about this lake. The Veeranam lake derived its name from the nearby place ‘Veera Narayana puram’ which is of great significance to Srivaishnavaites. It is here that our Acharyars Nathamunigal and later Sri Alavanthar were born. Alavanthar was born at Veeranarayanapuram (present day Kattu Mannargudi) in Tamil Nadu. Yamunacharya was a genius – a child prodigy known for his prowess of eka-santha – graha (remembering forever by learning only once). He was known for his sparkling intelligence, didactic logic and exceptional devotion to Sriman Narayanan. His defeating a much learned Akkiyalvan is very famous. After the debate, the Queen hailed Yamunar as 'Alavandar'-' one who came to rule / save me'. இன்று (9th Aug 2014) ஆடி மாத உத்திராட நக்ஷத்திரம். 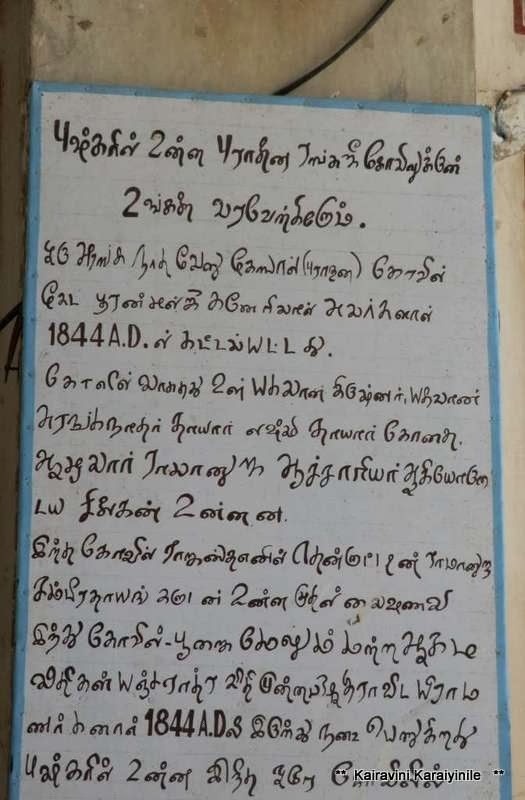 பௌர்ணமி கூடிய சுப நாள். 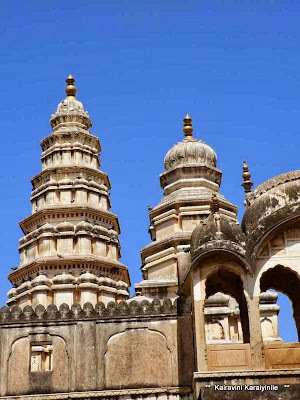 ஸ்ரீவைஷ்ணவர்களுக்கு சீரிய நாள். 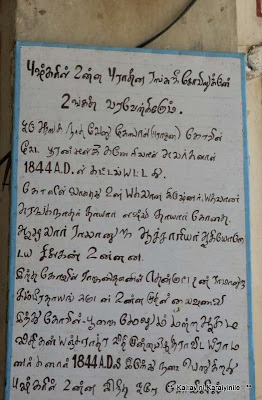 ஆச்சார்யன் ஆளவந்தார் சாற்றுமுறை. நாதமுனிகளும், யாமுனாச்சார்யராகிய ஆளவந்தாரும் பிறந்த திருத்தலம், ‘காட்டு மன்னனார் கோவில்’. வீரநாராயணபுரம் என சோழர்கள் காலத்திலும் தற்கால வீராணம் ஏரி உள்ள இடத்தில் உள்ள கோவில் ஆளவந்தாரின் அவதார திருத்தலம். இளம்வயதிலேயே வித்வஜ்ஜன கோலாகலர் என்றும் அக்கியாழ்வான் என்றும் புகழ்பெற்ற அறிஞரை வாதத்தில் வென்றார். தனது பன்னிரண்டாம் வயதிலேயே இச்சிறப்பு பெற்றதால் ஆளவந்தார் என புகழ் பெற்றார். மணக்கால் நம்பிகள் ஆளவந்தாரை ஸ்ரீரங்கத்துக்கு அழைத்து சென்று ரங்கநாதரைக் காட்டி குலதனம் என்று நம்பிகள் ஒப்படைத்தார். ஆளவந்தாரும் தம் போக வாழ்க்கையை அக்கணமே துறந்து துறவியாகி ஆன்மீகப்பேரரசரானார். ஆளவந்தார் ஒரு சமயம் திருக்கச்சியிலே இளையாழ்வான் ஆன ராமானுஜரை கண்டு 'ஆ முதல்வனிவன்' என ஸ்லாகித்து பின்பு பெரிய நம்பியிடம் ராமானுஜரைப் பற்றி கூறினாராம்.